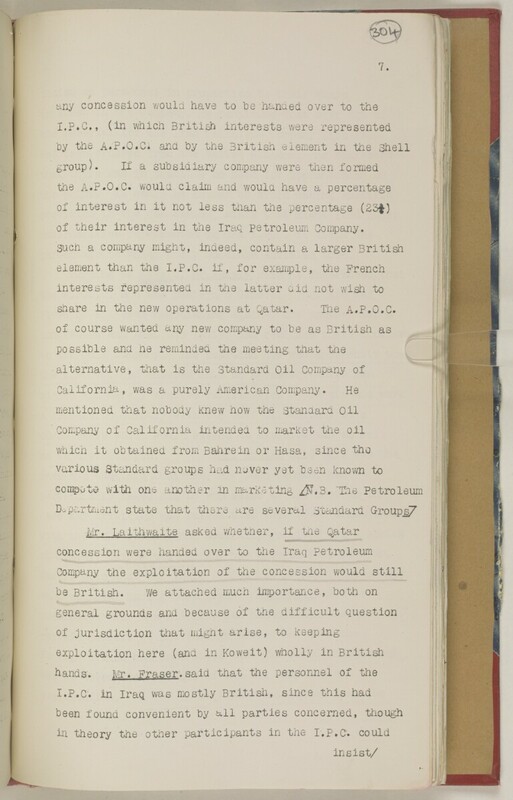 of their interest in the Iraq petroleum Company. share in the new operations at Qatar. The A.P.O.C.